This delightfully easy meal base works easily tossed over gluten free pasta but also shines as an addition to grilled chicken. The bottle is large enough to feed a busy, childless couple for 6 serves so will probably satisfy a bigger family for 1-2 meals, depending on how saucy you like your meals. The flavours are deep, earthy and balanced, and the pesto flavour is complimented beautifully by a hint of garlic. There is enough creaminess to create a full-bodied flavour in your meal, but not so much to leave you running to the gym after eating it. The perfect friend to keep in your fridge. Saffron Pasta & Pesto Vegie-ganza! ng to package instructions. While that’s cooking, sweat a finely diced onion with garlic in olive oil in a small saucepan. Add in grated zucchini or marrow and grated carrot and sizzle until zucchini begins to go clear. Pour in Passion Pasta Creamy Tomato & Pesto Pasta Sauce and heat. Drain pasta, reserving two tablespoons of pasta water, and pour pasta sauce all over before tossing gently. Serve in large bowls as a main, or as a side to grilled chicken. Pesto Pasta Sauce over the chicken to heat it through and ensure the chicken pieces are coated. Serve with steamed broccoli, green beans and carrots for an easy mid-week meal! 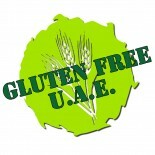 This entry was posted on 26/10/2011 by glutenfreeuae in Recipes, Reviews and tagged Pasta sauce, review, shopping, UAE.